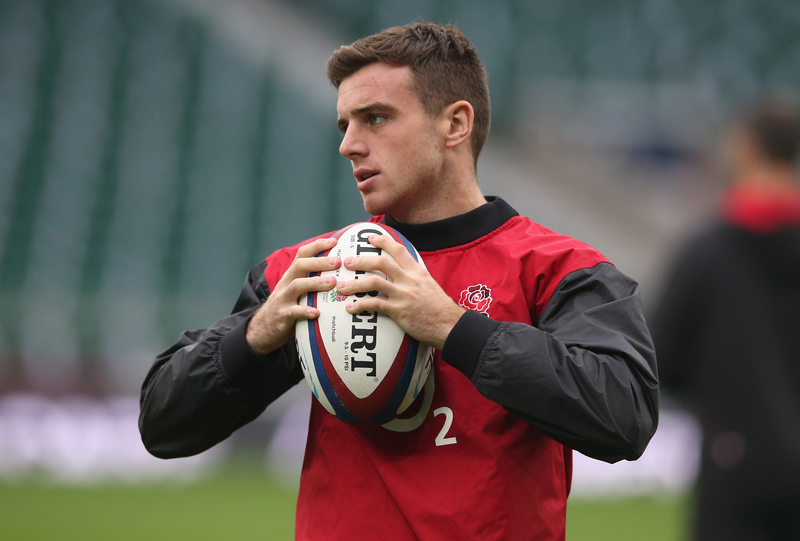 With all the discussion of centred round George Ford – Owen Farrell reunion against Samoa, it’s been easy to overlook that the former is making his first Test start tomorrow. Despite the abilities he has shown in repeatedly opening up Aviva Premiership defences this season and last, Ford’s shot at being England‘s first-choice 10 for the World Cup has seemed unlikely with Farrell as the incumbent. But the Saracens man’s recent struggles for form and fitness have granted his former U20 partner an opportunity to prove that he can become England’s pivot on a permanent basis. In many ways Ford and Farrell are opposing entities, and the Bath fly-half needs to show why his qualities are the ones Stuart Lancaster needs to trust. His ability to orchestrate and fully utilise the backline is well documented, and will be a welcome prospect given England’s lack of cutting edge last time out – where they failed to score a try in the first half against South Africa despite enjoying 65 per cent of possession. There have been some doubts about his kicking proficiency off the deck on the biggest stage – a criticism that could never be aimed at the nerveless Farrell – but he has been granted responsibility of the tee ahead of his old friend tomorrow. With just eight games to the World Cup, it is getting late to be discussing new partnerships, so Ford is running out of opportunities to prove he can cut it in the Test arena so an immediate impact is required, and the young 10 is fully capable of providing the catalyst. There was more than a hint of frustration at the Millennium Stadium last weekend as Wales failed to score in the second half of their win over Samoa. Their point-less second half was a repeat of the display against Tonga last year, when the scoreboard read 17-7 at half-time and full-time, and added to the frustration of the all too familiar defeat to Australia, in which Rhys Webb crossed the whitewash after just two minutes. This weekend’s opponents, New Zealand, are the masters of maintaining the intensity that wins Test matches. In their 24-21 win at Twickenham earlier this month they dominated a rain-soaked second-half, staying level on points, even with 14 men, that allowed them to control and ultimately win the game. Warren Gatland‘s side need to react in a similar way up to 80 minutes and beyond if they are have any chance of nicking a first win in 61 years. In the Australian defeat, their share of possession and territory both dropped in the second half, and this unsurprisingly mirrored a drop in ticking the scoreboard over. There are countless challenges Wales face if they are to beat the All Blacks for the first time in 26 attempts, but ensuring they don’t lose their discipline and mental edge as the match reaches its denouement could prove far more important than the opening exchanges. Can Ireland back up their rankings rise? 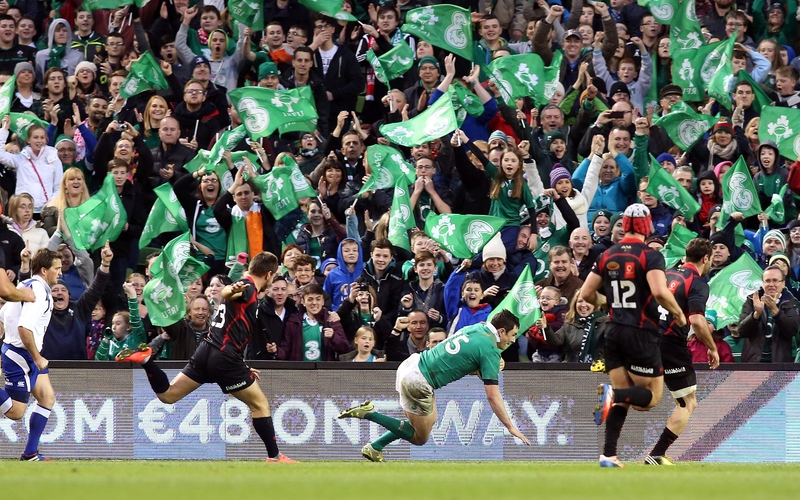 November is threatening to turn into Christmas come early for Irish rugby fans. A rip-roaring 29-15 win over South Africa was followed last weekend by a new-look side putting Georgia away with a clinical second-half display, and a spot at third in the world rankings – the first time they’ve reached such heady heights since 2006 – was just reward for their recent endeavours. Joe Schmidt referred to Ireland‘s promotion above Australia and England as a ‘distraction’, but he must be privately thrilled at the performances his team are showing a year out from the World Cup. They have lost only once – against England – since Ryan Crotty‘s last-gasp try for the All Blacks last November, and a brave display under pressure in Paris, which saw them claim the Six Nations title in March, was testament to their big-game credentials. A visit from the Wallabies is the year’s final test, and the bulk of the side that beat the Springboks a fortnight ago is returning, with the experienced duo of Rory Best and Gordon D’Arcy also coming in to bolster the ranks. An alternative Ireland outfit showed promise against the Georgians, but the returning grunt and guile fits the occasion. A win tomorrow would cap a year of progress, and add weight to the view they’re genuine contenders for next year’s biggest prize. Tonga’s last trip to Scotland was a record-breaking one but not in the manner Scotland had hoped. The Pacific Island outfit’s 21-15 victory was their first ever win over the Scots, and ensured a swift exit for Andy Robinson. Two years down the line and there is a renewed sense of optimism around current head coach Vern Cotter‘s side, as they prepare to line up against the same opponents in Kilmarnock. Their five-try victory against Argentina – a side they also beat in Cordoba this summer – was impressive, despite the late defensive lapses that took the gloss off the scoreline. More impressive still was the nature of their defeat to New Zealand last weekend. So often in the past a Scottish defeat to southern hemisphere opponents has been labelled ‘valiant’, but Saturday’s display genuinely warranted the title. They competed for 70 minutes and they may have been in the realms of dreamland had Greig Laidlaw’s late penalty gone over. Scottish fans will warn you that such optimism does not last long however, and maintaining performance levels is Cotter’s new test. The Tongans will provide a destructive threat in contact, and come in to this clash off the back of a five-try defeat of the USA, so the hosts must front up in a way they couldn’t manage in 2012. A repeat of that result would undermine much of the tentative momtenum built in the previous two weeks. Scot better: Can Scotland continue to impress and avenge their 2012 defeat to Tonga?